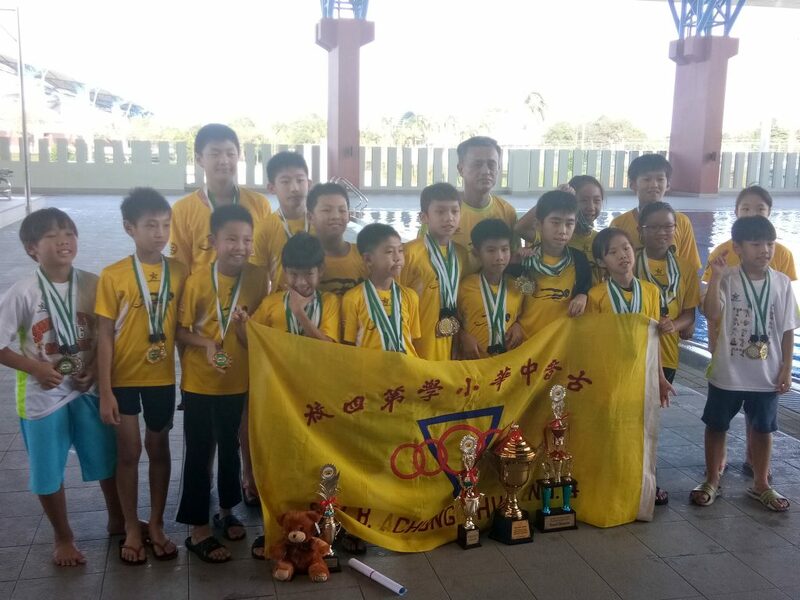 The overall champion of the 2nd PASC Inter Primary School Swimming Championships, Sekolah Jenis Kebangsaan (SJK) Chung Hua No. 4 having a group photo after the event at the Pandelela Rinong Aquatics Center yesterday. KUCHING: Sarawak’s Youth and Sports Village will be ready in 2019, according to Minister of Youth, Sport and Solidarity, Dato Sri Michael Manyin Jawong. He pointed out that such facilities are absolutely indispensable to the development of sports in this state. “As we all know, the credibility of Sarawak in the world of sports is so admired. “Therefore, I believe the presence of such facilities or equipment can improve and hone the search for young talents to continue to shine in sport events that are more competitive,” said Manyin. The eight-acre sports village will be built near the stadium compound in Petra Jaya, designed specifically for athletes who will taking part in various sports competitions and would serve as a centralised training centre for talented young individuals in the state. “Once completed, it could make it easier for athletes as they will need not to stay at the hotel,” he added. Manyin was speaking at the closing ceremony of the 2nd PASC Inter Primary School Swimming Championships at the Pandelela Rinong Aquatics Center in Petra Jaya yesterday. “I welcome those interested to hold swimming championship at this aquatic centre will take the opportunity so that the facilities here can be fully utilised. We believe that with the well-equipped facilities, Sarawak can produce quality athletes in the future and become a sports powerhouse in the country,” he added. During the event, Sekolah Jenis Kebangsaan (SJK) Chung Hua No. 4 emerged as the overall champions after defeated 26 other primary schools. Manyin and PASC president, Tan Kun Gee were later presented the prizes to the winners. Manyin: Youth and Sports Village to be ready in 2019 0 out of 5 based on 0 ratings. 0 user reviews. My cup runneth over ….